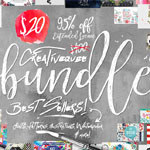 Samantha by Laura Worthington on sale right now at Mighty Deals! There’s an exciting development in the type design world and that is that a few designers are starting to fully map their OTF fonts to Unicode so that they are more accessible to those without Adobe Illustrator, Corel Draw, and expensive design software that has been required in the past. Laura Worthington is not only one of our favorite type designers as diecutters, but she has taken the lead on this. Her information on accessing all the special characters in her fonts with Windows is here. 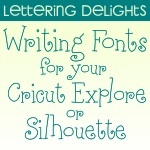 I took this a step further with a video on how to use her fonts in Silhouette Studio for Windows. Update: For those of you having trouble seeing the characters in Windows Character Map, the free utility Nexus Font also has a Character Map that makes viewing easier. Written tutorial from Paper Moon Snippets here. On the Mac side, some of my earlier techniques are no longer working because the necessary web app has been discontinued. 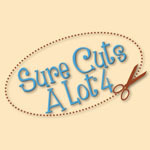 The method Laura recommends does work with Silhouette Studio but, like mine referenced above, is also quite contorted. My research has led me to believe that the best solution for MacOS 10.8 (or 10.9 with Silh Studio basic) is a $9.95 app called Ultra Character Map, but since it only runs on Mac OS 10.8 or better, I haven’t been able to test it myself yet. If you run MacOS 10.9, I’ve just discovered a new free solution. Another Mac option is Inkscape. In Inkscape you can enter Unicode values into a text cox directly by typing Cntr-U first then the code. So you would use Font Book Repertoire view and hover over the character you want to determine the Unicode value, then type it into Inkscape. When you are done, convert text to path (Path>Object to Path) and then save as SVG for import into SSDE or as DXF for import into SS basic edition. UPDATE: Gioviale by Laura Worthington is on sale right now at Mighty Deals. Update: Fonts by Debi Sementelli are also fully mapped. Debi is the designer of the fabulous Cantoni font! 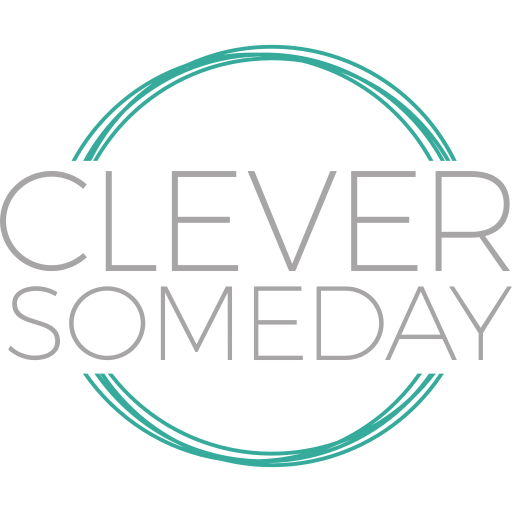 Be sure to thank these designers for mapping their fonts and tell them that CleverSomeday sent you. May I ask you a question? I have followed your instructions as shown in you tutorial on my Windows laptop. What am I doing wrong or do I miss a (download) file? Linda, If you are trying the OTF version of Samantha, uninstall it and install the TTF version instead. THANK YOU, THANK YOU, THANK YOU!!!! I am so very thrilled to be able to use this font now. My sister is going to love her gift because of this tutorial. Thank you! Thank You for your help. Very informative video. Thought I bought something I couldn’t use, lol. But you showed me how. Thank You again. Thank you for this awesome video! I have learned so much from your great tutorials. I thought people were using Word, saving file and tracing in Sil. I have a question. How do you get the eye dropper tool on your side toolbar so you can change the font? I’m running v3.3.451. Thank you so much! The eye dropper is a DE only tool. It is handy, but not critical for this process. I have DE but the tool is not on the left side with the other tools. I’d love to be able to use is to change a font as you did in the tutorial. That would be so much more convenient. Can you tell me how to get it in that area? Thanks. I just discovered it is along the bottom of the window between the Offset and Open Layers Pane buttons! I jchanged a newly typed font to one already on the page as you did in the tutorial! So much faster than going to the Text window and setting the style! Ah, yes … they did move it in V3. Thanks for posting this. I don’t use V3 very much and had forgotten about the move. 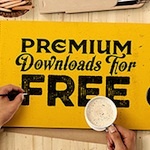 I’m a newbie when it comes to downloading fonts. I downloaded the Samantha font upright pro. I watched your video and accessed the Samantha font through the character map. But when I copy and paste to Silhouette and try to change it to Samantha font, it’s not on the list. How do I add Samantha font to the font list in Silhouette? Thank you for your video. I have watched it over and over and I know I am doing what you said to access the flourishes but when I enter private use characters all the spaces go blank. What am I doing wrong? Please help! What font are you using and when and where did you get it? I am using Samantha upright pro and purchased it from mighty deals in 2013. I could never get it to work. I listened to your tutorial and it is relatively straightforward, thank you. Ok so i have selected a bunch of letters and then pasted them into silhoutte. I can’t figure out how to ungroup them without losing a little bit of a piece of the letter when I do so. Can you please help? I don’t have enough information to answer this question, but quessing you are in Cricut Design Space and losing the middles when welding, try repositioning the letters slightly. Thank you!! I was nervous to buy and have to learn but you made it simple. Thanks!!! Goodness! Thank you so very much for this!! I would have never been able to figure it out on my own!!!!!! You are fabulous! That made the flourishes on Samantha SO EASY!!! Thank you!!! Hi Kay. I’m using a mac OSX 10.6.8. I used to be able to access glpyhs using character map by clicking on the US flag and choosing unicode hex input using font book. Don’t know what happened but now I don’t see the characters, I only get a screen with the unicode values and I can’t change the fonts. Also in font book I can see the unicode value by hovering over the glyph, but I cannot copy the glyph. Do you have any suggestions on what to do? Thanks Kay. I did a LOT of searching for the mac and found that I needed to go to folder: ~/Library/Preferences/ then move the com.apple.CharacterPaletteIM.plist file to the Trash. It rebuilt itself. It’s been a nightmare. Hope this helps if anyone else has a problem like this. I can once again get the glyphs the way I did before. OMG!! Thank you for posting this. I bought the font a month ago and have not used it. Your tutorial made it SUPER Easy!! Am I correct in seeing that if I buy the font on mighty deals for $17 I cannot make things with my silhouette machine to sell? It says that you can use for printed projects but not for projects that increase the value of the object? Just confused on that. It’s a good deal, but not worth $17 if I can’t use it for business purposes, like in making t-shirts or vinyl projects. No, you are not correct. You can sell products created with Samantha. Contact the designer if you have a specific case you want to check on. Thank you for your quick reply. I apologize if my comment sounded rude. I was just thrown off by this specific statement from deals on the font: “These fonts may be used for printed projects, for use in a logo, or in a website. You may not use it in a product offered for sale where the item contributes to the core value of the product for sale such as in alphabet related products, such as embroidery, stamps and decals or in film or broadcast without a license upgrade.” I will contact the designer, thank you! I didn’t realize you were commenting on an older post. I address this here http://cleversomeday.com/more-on-samantha/ plus Laura has recently announced an even more generous policy. 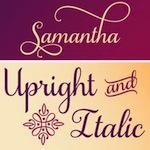 I bought the samantha font cheat sheet from silaholicsanonymous. I see it in my downloads as Samantha Font Cheat Sheet with subfolder Samantha Fonts, which has letters listed individually. when I chose one letter all the a’s show up on the design page just like I want. But my question is this- How do I move them into the library. I have already created the folder called Samantha Upright and I created all the folders below that a,b,c and so on, now I just want all the pages in their respective folders. Please help-I know there is something so basic here that I am missing. Once something is on your mat, you use File>Save As>Save to Library to get it into your Library My Own Designs folder, then you can move the files to folders from there. I’m not familiar with the specific files you mention, however, so you might want to ask the seller. I purchased The Samantha Script Font for my Cameo Silhouette several years ago. My computer went into the shop and I lost all my fonts. Is there any way to get the Samantha Script without purchasing it a second time? Laura Worthington can help you if you contact her with your invoice info.